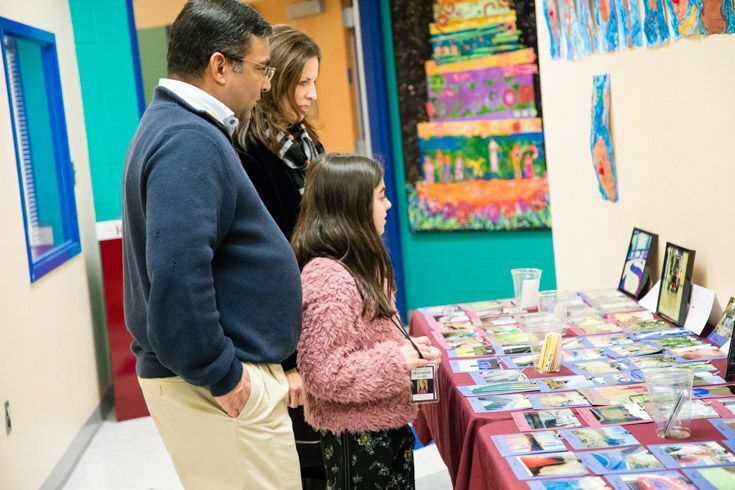 Lower School Evening with the Arts is a tradition for 4th and 5th graders to showcase the many creative and innovative projects from their fall Renaissance classes. 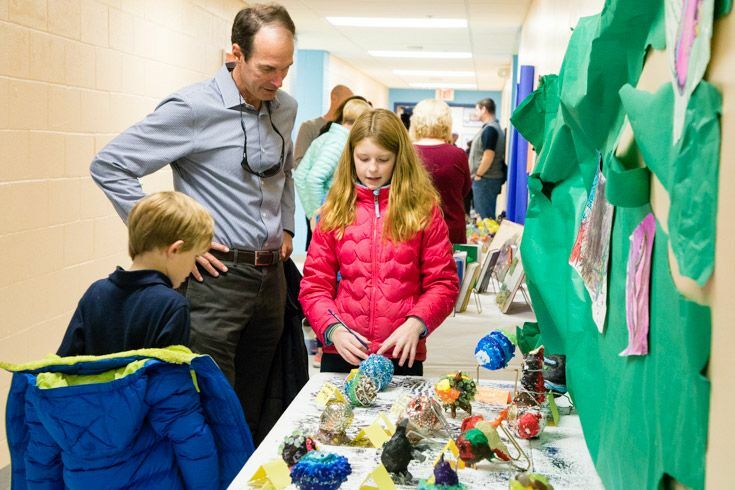 From digital design and photography to robotics, art and dramatic performance, each project highlights the unique talents of our students and their confidence to take on any artistic or problem-solving challenge. This fall, Advanced Art students stretched their imaginations to create an amazing gallery of mythical dragons. They began with dragon journals filled with a collection of drawings and designs and used those ideas to sculpt colorful clay dragons and mixed media dragon eggs. 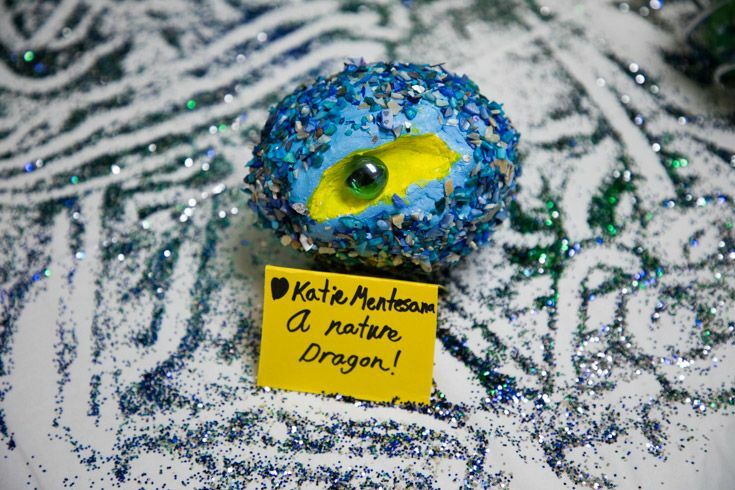 Katie ‘26 explains how she created her dragon egg. 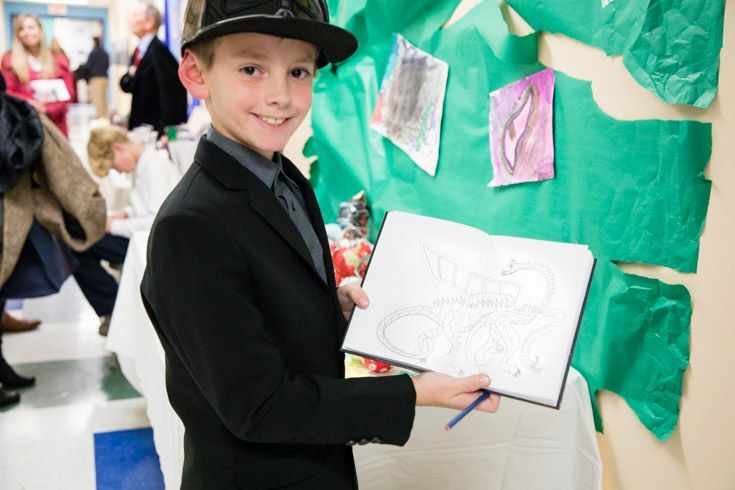 Aiden ‘27 displays a sketch from his dragon journal. 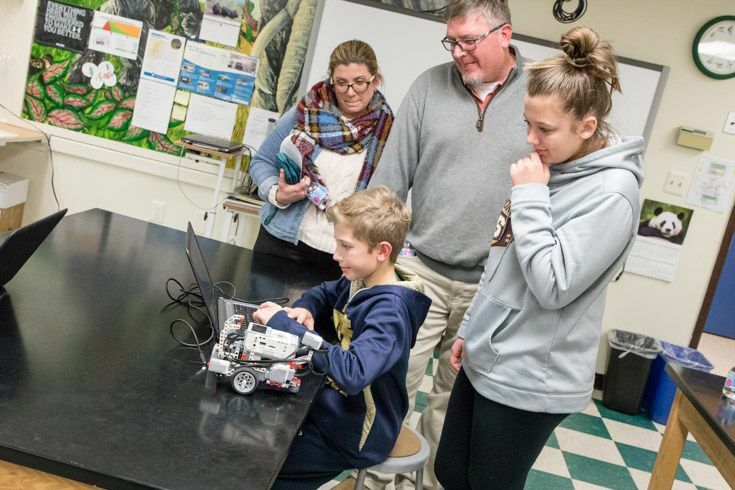 Our Robotics students explored coding and engineering with LEGO Mindstorms Robotics kits. They began by building robots to precise specifications with programmable motors and sensors. After building, they completed various programming challenges using data from different sensors on the bots (ultrasonic, touch and color) and Mindstorms graphical programming software. 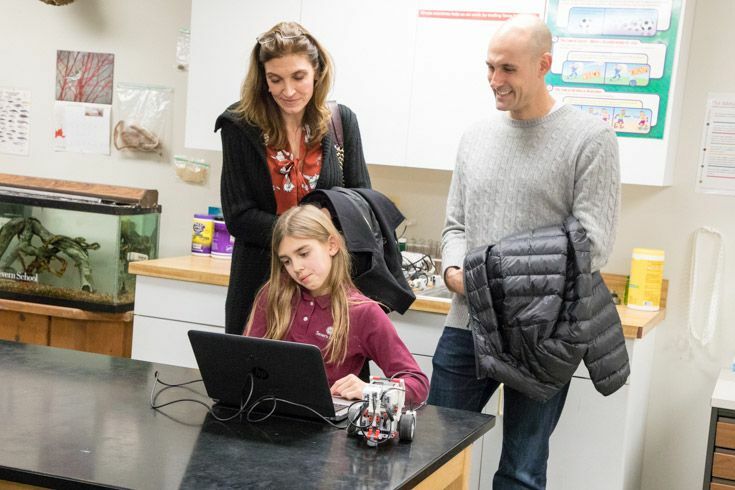 Using drag-and-drop elements in specific sequences they programmed their robots to do three-point turns, back away from walls, follow lines and more. Future programmer Luke ‘26 and family. Future programmer Maya ‘26 and family. Digital Design started the year by learning about current design trends before diving headfirst into all types of hands-on projects. They created business cards, posters and infographics using Canva.com. They invented avatars and animated them with the Chatterkids app to create talking biography videos. They dabbled in engineering by building wind-powered vehicles with limited materials and budget. And they made iMovie trailers about their favorite books or new Thanksgiving traditions. Finally, they uploaded the projects to their Seesaw portfolios so parents could watch their digital masterpieces come to life. 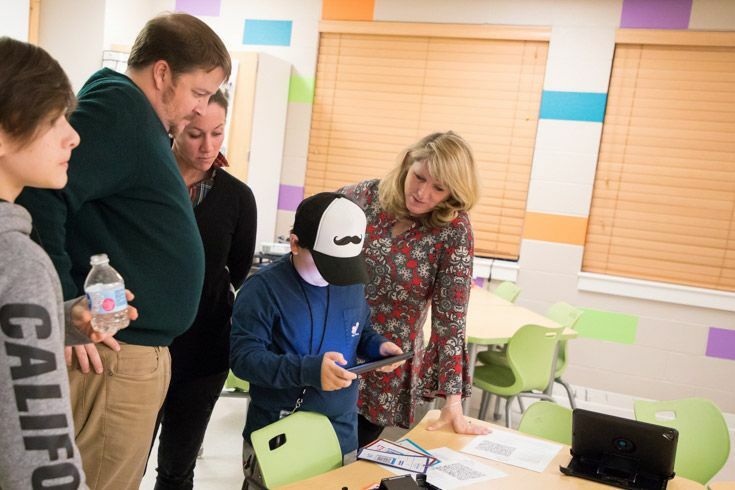 Rowan ‘27 and family check out his digital designs on Seesaw with Ms. Dabrowka. 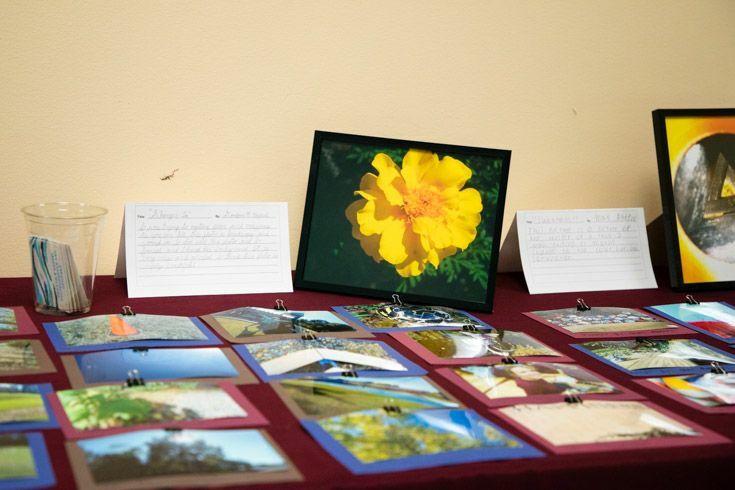 Much more than just point and shoot, our photography students learned essential basics including camera functions, composition skills and editing techniques. Our junior photogs also learned how to care for the cameras and how to use proper etiquette when photographing others. They took photos both indoors and outdoors to create eye-catching, artistic shots along with candid photos for the yearbook. Ms. North looks on as Allie '27 shows off her work. This year the Renaissance drama crew staged Dear Edwina Jr., following the adventures of plucky advice-giver extraordinaire, Edwina Spoonapple, as she directs the neighborhood kids in a series of buoyant numbers for the latest edition of her weekly show, “Advice-a-palooza.” Colorful costumes and vibrant stage design were perfect complements to the heartwarming and energetic performances by all. The audience tapped their toes and hummed along with song after song during this joyful and hilarious production. Check out a clip of the final number "Hola Lola"